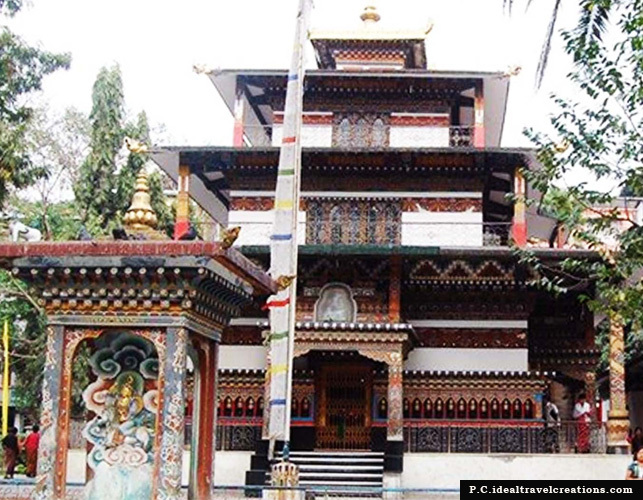 Phuentsholing is a no major tourist hotspot of Bhutan like those of Paro, Thimphu and Punakha. But still the place remains usually packed with tourists and that is because Phuentsholing is the most preferred gateway to Bhutan. Most visitors prefer to this route for entry/exit to Bhutan. Not many but Phuentsholing of course has some interesting places to arrest the attention of the travellers who halt a stay in this bustling city of Bhutan. Few sightseeing places that Phuentsholing offers are the Zangtho Pelri Lhakhang, Crocodile Farm, Bhutan Gate of course, the lush tea gardens, ornate monasteries and shopping hubs. 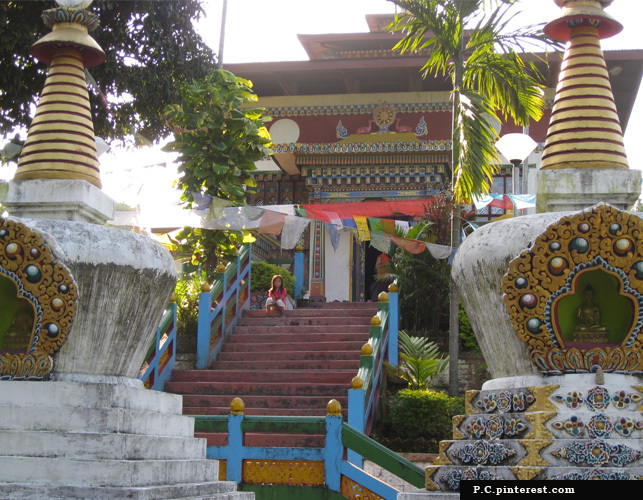 The Zangto Pelri Lhakhang stand exactly at the heart of the bustling town of Phuentsholing. It is a small spiritual temple which contains fine examples of Buddhist drawings. Situated on a small hillock, the Karbandi Monastery is a well-known religious site which houses huge statues of Guru Rimpoche, Shakyamuni Buddha and Shabdrung Ngawang. Just a few minutes from the main town, The Crocodile Breeding Centre is a major tourist attraction. 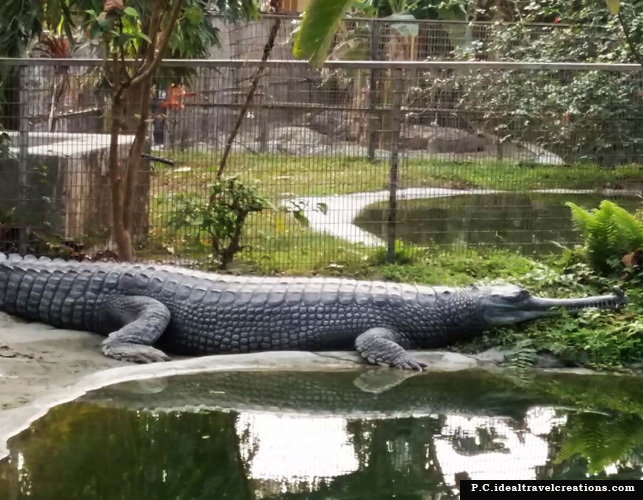 If you are an animal lover then, this is the best place for you to get close to some of the most dangerous reptiles like the crocodile and alligators. The gate is the main entry to Bhutan. 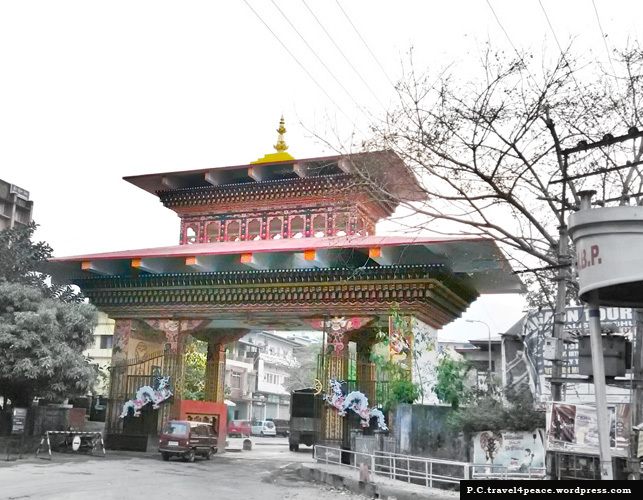 You can click a photograph in this huge ornated gate to mark the beginning og your Bhutan journey. 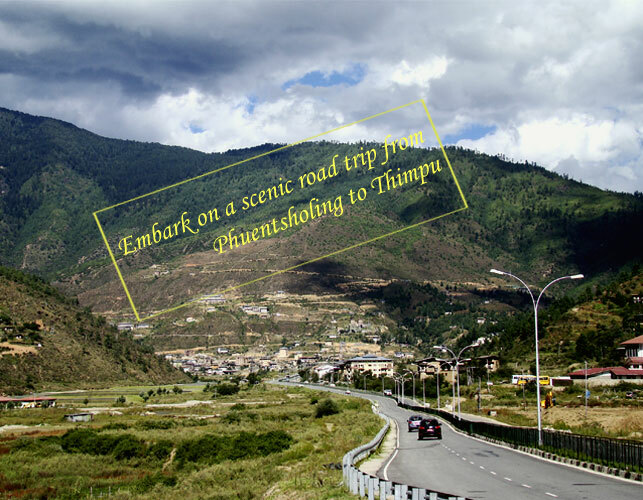 After availing permits and processing all the necessary travel formalities, your road journey to Thimphu thus starts. The first thing you need to do is make arrangements for a proper Bhutanese guide who can speak good English and secondly, you need to hire a car. 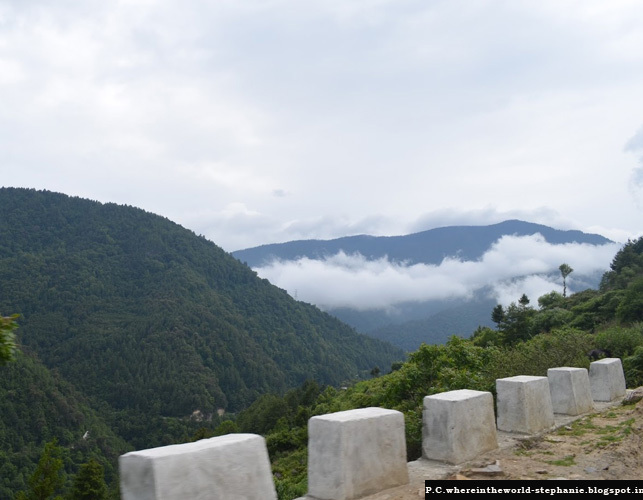 Distance between Phuentsholing to Thimphu is basically 180 km but depending upon the road conditions and stops, it will take approximately 6 to 7hours. 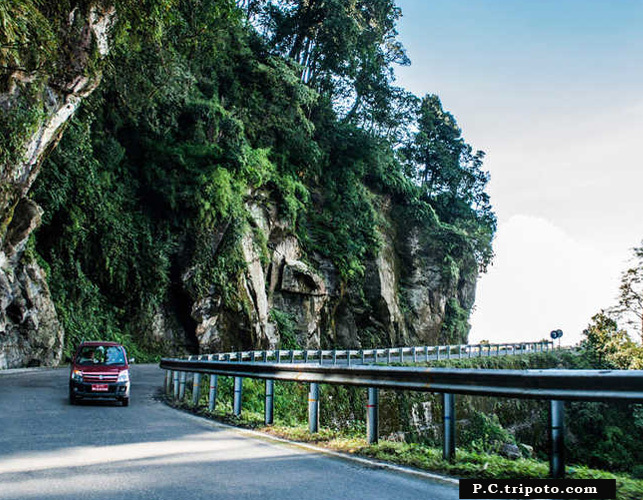 Leaving the town, your car will drive you through some lesser known trails of the Himalayas where you`ll be able to witness the tropical jungles, spectacular scenery of landscapes, beautiful waterfalls, small villages, passes, rivers, lakes and a few temples and monasteries. On the other hand, drivers in Bhutan are so courteous that they will comfort you with a relaxing journey. There are a plenty of shops in the middle of the journey for getting snacks and stretching legs. Thus, your overall journey will prove to be really worthy and savory. Coming to the end, hope the above information will be able to deliver a wee bit of help for the ones planning a road trip to Bhutan and also availing car rentals services.